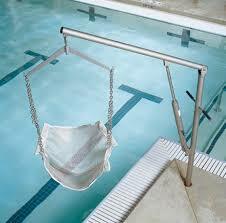 Hoyer Classics Hydraulic Pool Lift provides great support for easier recreation and therapeutic swimming. 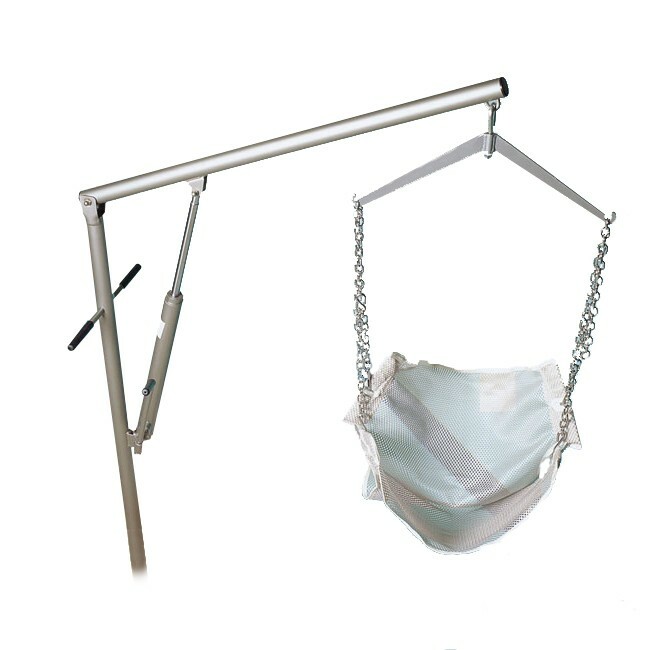 It is constructed of heavy-duty stainless steel and comes with sling and chain. Can be used anytime for placing any client into water. The stainless steel painted finish resists corrosion in humid environments. For people looking for a power lift with more range to lift a person into a above ground pool we recommend the Triton. Click Here to view Triton info.